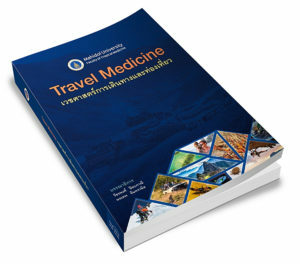 « Which vaccine will you recommend for traveler to Thailand? In our travel clinic, people sometimes show us their malaria map which they printed from the Internet. Maps are very useful especially in the risk assessment process. They let us know roughly about the situation of malaria in that area. Unfortunately, not all maps are reliable. Some are out-of-date, some are mislabeled, and some are totally unreliable. Please rely on the maps that are published by the well-known authority only. Reliable sources of information include World Health Organization (WHO), US CDC, National public health authorities and Academic institutes. Do not rely on any individual map which does not have any reference or background data support. This is a very good map. You’ll see, in many countries, malaria exists in some specific area only, not exist in the whole country such as in China, Thailand, Mexico, Brazil, etc. So when we talk about risk for travelers to get malaria in those countries. We have to ask in more detail such as which part of China or which part of Thailand that you would like to travel to. Since the risk in different area is not the same. Moreover, in this map, there are at least 2 levels of risk i.e. 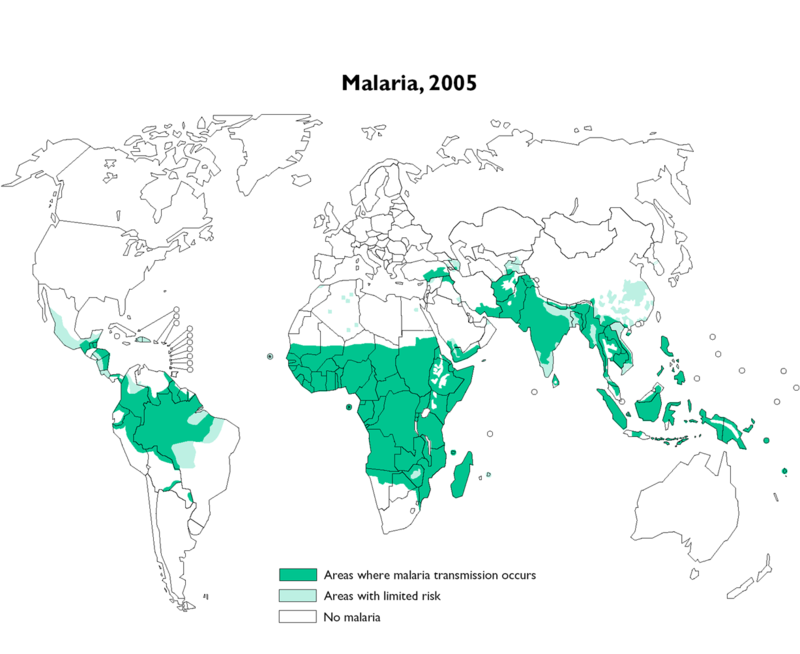 dark green areas—> malaria transmission occur and light blue areas–> areas with limited risk. This map is much better than many maps that fail to pay attention to complexity of malaria risk. 3. There are many different level of malaria maps such as world malaria map, region specific malaria map or country specific malaria map. General speaking, the smaller the scale of the map, the more detail it will give us. Such as for the WHO map above, it is difficult to say about the malaria risk in Sri Lanka or even in Thailand. We know roughly from the map that not all area in Sri Lanka and Thailand is malaria risk area; risk are limited to some area only. So when travelers would like to travel to specific area in those countries, how could we know their risk. Yes, we need more detail map. 4. More detail map, especially country specific map usually produced by the local public health authorities or local academic center such as our Southeast Asia Malaria Map. That map was derived from the multi-organizations research. Collaborators includes Ministry of Public Health of Thailand, Faculty of Tropical Medicine, Mahidol University, SEAMEO TropMed Network and World Health Organization. So practically, it is very difficult to get the detail area data to creat a detail map. And unfortunately, many detail or country specific maps usually not published or not accessible to the public. 5. All maps are “static”. They let us know the data in the past, it may or may not the same as today’s data. So please keep in mind. 6. Do not totally rely on the map only. Other source of information include; annual report of malaria activity in that area, malaria outbreak news, recent malaria epidemiological research in that area, etc. We have to use all information to estimate the malaria risk for each individual.